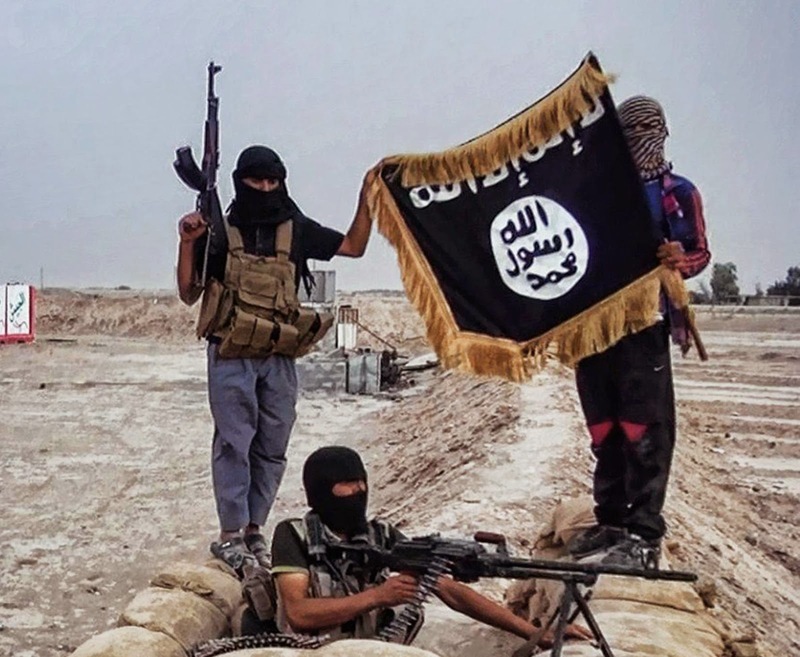 The newest terrorist organization ravaging the Middle East is The Islamist State of Iraq and Syria (ISIS), also known as The Islamist State of Iraq and the Levant (ISIL). After battling the government in Syria during their civil war, ISIL spread into Iraq where they recruited many more, including a handful of Americans. ISIL have started to persecute and execute Christians and anyone who does not agree with the extreme Muslims. ISIL is the new and improved Al-Quada, but is more dangerous. Years ago Al-Quada were savages, suicidal, and extreme murders who hated America and everything anti-Islamist. They were a terrorist organization, and just that, a group of crazy, hate-driven people. "We will raise the flag of Allah in the White House." Also, ISIS have United States citizens as hostages and beheaded reporter James Foley and sent the footage to the White House. "National security interest is to counter ISIS where we find them." But President Obama has not followed this lead. He only wants to contain these animals. ISIL has threatened to kill more of the hostages if the U.S. continues airstrikes. The threat of ISIL is real! People have to understand this. People who do not want the United States involved in others' affairs is understandable, but not when others' affairs is directly effecting the U.S. national security. It is a simple question: Where do you want the fight, on our turf or theirs? ISIL will target the United States. I know this because they have said it and have targeted reporters who were captured. Islamists, or extreme Muslims, have been targeting Christians in Iraq. Aside from executing Christians, ISIL has gone after anyone who is against their sect of Islam. Nations known to have Islamist influence and acceptance include Iran, Pakistan, Iraq, Afghanistan, Syria, and Sudan. These nations have an extremely large percentage of Muslims and consider Islam as their national religion. Countries like Iran even govern with the influence of Islam. Islamists will target the United States because over three-fourths of the nation is Christian. Even though the United States does not have an official religion, most citizens are some sect of Christianity. Islamists see this and also see that the United States is a major activist against terrorism, the preferred strategy for Islamists. Terrorists, such as ISIL, will stop at nothing to murder anti-Islamists, even suicide because they are believed to be martyrs for Allah in the Muslim world. ISIL must be stopped as soon as possible. They have killed innocent people in the Middle East and are coming for you next. Our government is supposed to protect us from foreign threats, this is one and it is real. They want to kill Americans. I am an American. They want to kill me. You can check out this article and many more of mine on Wayne Dupree's website!